GoPro’s first drone Karma released. Mavic pro is overwhelmingly recommended! . GoPro’s first drone “Karma” will be released on October 23, 2016! How is its performance! Is it? It is Yoshitake Hotaka high school walk in the Tokai aerial. Finally a professional drone will be released from the action camera manufacturer’s “Go Pro”. Until now, there were some people who had loaded and loaded “Go Pro” like “Phantom” such as “Go Pro”, but after they came here, the release of the drone for the first manufacturer was decided It was. Release is October 13, 2016. As a matter of course, people like “Go Pro” are worried that “Karma” is a concern item, so here’s a similar model + price sold by DJI company “Mavic pro” Personal I would like to explain it in plenty. 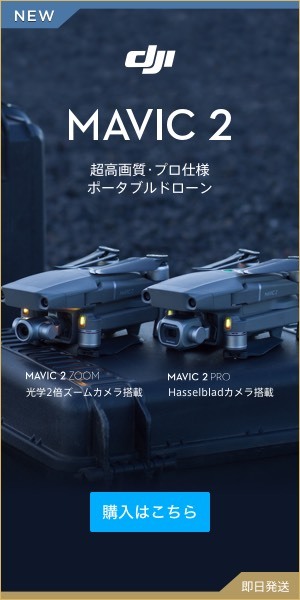 By the way, for detailed articles on Mavic PRO (Marvic Pro) please see here. I think that you should call it as you like. Let’s see the performance of “Karma”. It is best to purchase it from the “Go Pro” website, because it is not yet sold on Amazon, but the price will be around 90,000 yen, approximately in Japanese yen. Since “Mavic pro” we will introduce will be 119,800 yen, the price is “Cheap” for “Karma”. In this price range, is not it that some of you think that “GO PRO” fans have interested or are interested in extending the action camera so far? If it says that the maximum flight time is 20 minutes, in fact it seems better to see it as about 15 minutes per flight. Battery: As long as you see the homepage, it is unknown whether there are two in addition to the spare. It’s about 15 minutes on a flight, so it’s a place you definitely want to prepare a spare battery. Charger: It is for charging the battery. Propeller 6: Since it is 4 drone dolls, it means that it comes with 2 spares. Hand grip: A tool to be used for shooting on the ground. Dedicated backpack: This one unit can accommodate compactly in all equipment. As you can see in the picture, you can load the camera on the backpack so you can shoot while walking or bicycle. Here are the attentions of neighborhood here. Everything fits in one brilliant rucksack. If you are “Karma” you can use the camera separately. This is the biggest difference in that it is the biggest difference from Mavic pro. You can also take pictures while driving a bicycle or the like. On the other hand, DJI ‘s “Mavic pro” is completely integrated with the drones, so it can not be removed and used. This point seems to be small at first glance, I think that considerable difference will be born in considering convenience. This is because drone makers are really conscious of “aerial shots” and “Go Pro” seems to be because the starting point that originally considered the outdoor action scene is different. To the end “Drone aerial photograph” would also be regarded as an extension of the outdoor, did not it? Those who are interested in this “Karma” will think that many people will purchase the drone for the first time since the “Go PRO” fans and price zones are less than 100,000 yen. It is the drones’ safety that I want to cherish at that time. Although it seems that “Karma” seems to be functional neither image nor image, regarding this “safety”, even if you look at the homepage of “Go PRO”, it is not specifically stated. Here we compare with the safety of Drone of DJI company with 70% world share. , “Obstacle Detection Function” is a function that Drone’s precision sensor automatically detects and obstructs obstacles about 10 meters away. In addition, the return to home function is a function that will return to the “takeoff point” by one peony in the event that the connection between the drones and the controller is broken due to radio waves or the pilot loses sight of the drones is. For beginners as well, I think that it is not easy to know what to do really if the connection between Drones and Propo is broken, so it is a safe function. The remaining battery indication is a function that displays how much battery is present and how many more minutes you can fly. In addition, it turns out to be a function that informs with the electronic sound when cutting the remaining amount set. There really is a lot of dangerous things when beginners really do not know about flying drones. Drone always recognizes that a certain heavy object is a weapon that is flying 10 meters above the person’s head and should pay attention to “safety” best. We are considering the danger of the drone and the cause of the crash, so those who purchase the drone from now are recommended to go through the first time. Here, we will compare the performance as a drone with DJI company “Mavic pro” released in the same period. This model is compact model of the aircraft, convenience of carrying, price range and very close to “Karma” model. For honesty “Karma” there is only video as much as the videos that manufacturers are offering. “Mavic pro” is a model that has lighter weight and compacted “Phantom 4” which is the best selling in the world. Although it can not deny that it is weak against the wind compared with “Phantom 4″ in relation to the body weight, its stable performance is the highest level at the present drones. I myself are using Phantom 4, so I can definitely say that it is a high level of performance. In addition, DJI has nearly 70% of the world market share, and we have repeated model changes each year. That is what I was able to do now is Phantom 4, a model that thoroughly pursues safety and ease of aerial photography based on the huge amount of experience so far. Of course, I think that it is a model that thoroughly conducted research and thinking error repeatedly until the launch, but it is a model that has been sent out to the world, but it is inferred that room for improvement and reflections will be coming out in the beginning as this time. I think that it will come out when you compare with the DJI company product on the fact that it is surely using the difference which you do not know as far as you are watching PV of the video. “Karma” also felt that it will evolve from this release as quickly as the Go Pro has repeated model changes every year from 4 and 5, HERO. It can be said that DJI’s “Mavic pro” is a better shopping than “Karma”. However, considering the use of ground other than “Go Pro” fans and drones, it is a part that can not be said anything. Those famous for the image of Drone compare ‘Mavic’, ‘Phantom 4’ and ‘Karma’. Each personality has its own personality, but each image quality itself is very beautiful. I think that personal preference is divided here. However, although it does not feel much difference in the aerial shoot, the photo of “GO PRO”, in particular that unique pictures taken from the ground can only be displayed in “GO PRO”, is not it? Although we compare and comment on “Karma” variously this time, I think that it will be a reference when purchasing drones from now. Thinking about personal use for business use, it seems more safe for those who chose DJI, which is well established for the safety and stability of the aircraft itself, but for travel around the world I think that “Karma” is also good if it has a camera and a drone. For myself, if you are told to choose either “Karma” or “Mavic pro” at this stage, I will definitely choose “Mavic pro”. The reason is that as I mentioned earlier, it is probably still more room for improvement and correction by saying “Go Pro” first drone. As iPhone was hard to use at the outset, it is predicted that it is difficult to get a complete model from the very first release, so if I am waiting for another year or so and the next “Karma 2” comes out, We will consider purchasing. I think that I will suffer from trouble and find my favorite drones, but that is one of the ways of enjoying drone. Because Go Pro has a lot of enthusiastic fans, it seems that more people are interested in drones from a new perspective. A new wind blows in the drone industry! Is it? I am looking forward to actually being released.